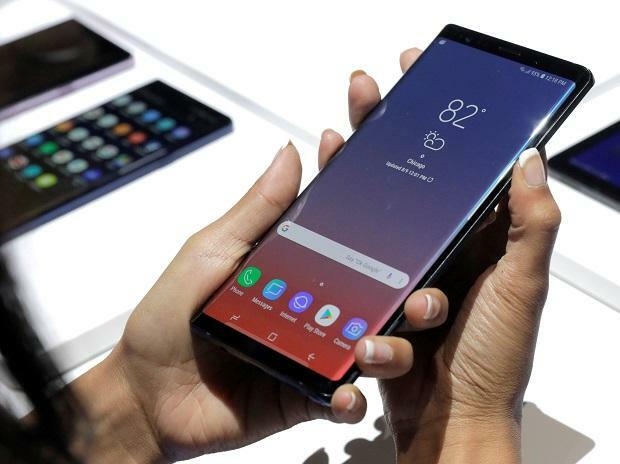 India's premium smartphone segment, above Rs 30,000, witnessed an eight per cent growth in 2018 with Samsung leading the shipment chart with 34 per cent market share, as per Counterpoint Research. However, in December quarter, China's OnePlus led the shipment chart, capturing 36 per cent market share. "Premium smartphone segment (Rs 30,000) shipments reached its highest ever (levels) in a quarter (December quarter 2018) and a year (2018). "The overall premium segment grew 8 per cent year-on-year for...2018 and 16 per cent year-on-year for fourth quarter 2018," Counterpoint Research said in a blog. It added that OnePlus recorded its highest-ever shipments in a single quarter and captured 36 per cent market share in October-December. Samsung, on the other hand, had 26 per cent share in the said quarter. "However, Samsung led the premium market for the full year 2018 in terms of shipments (34 per cent), narrowly inching ahead of OnePlus (33 per cent)," it noted. The top three brands -- OnePlus, Apple and Samsung -- accounted for 92 per cent of the overall premium market in the fourth quarter. Speaking to , OnePlus India General Manager Vikas Agarwal said the company has taken a number of steps over the last few quarters to enhance the user experience that has translated into strong growth. "We have been investing (in India) to set up our own stores across major cities, expanding service centre network to create a differentiated and premium experience for our customers," he said. Agarwal added that OnePlus witnessed 85 per cent growth in volume terms in 2018 and expects to maintain the momentum this year as well. Counterpoint said Apple's premium segment shipments declined 25 per cent year-on-year in December quarter, "mainly due to extreme high-premium-commanding pricing for iPhones as Apple continues to choose to pay 20 per cent import duty on new imported iPhones instead of manufacturing in India". "As a result, we believe Apple to start manufacturing locally for latest iPhones in 2019 and beyond to potentially lower the current higher iPhone pricing," it added. Apple's share of the premium segment in 2018 stood at 23 per cent. The report pointed out that competition for the US-based company will increase in 2019 with the entry of Android-powered premium offerings by Chinese brands including Huawei and aggressive sales and distribution strategy from OnePlus, Samsung, Huawei and Google.